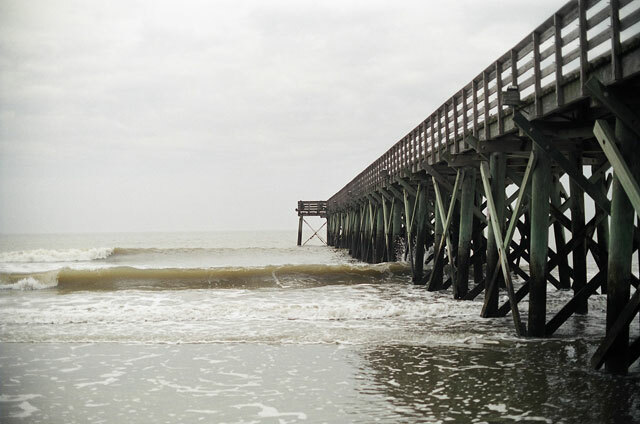 The Sheridan Corporation was the structural engineer-of-record on the tidal-zone and underwater inspection of the support piles and x-bracing for the Fishing Pier on Isle of Palms. 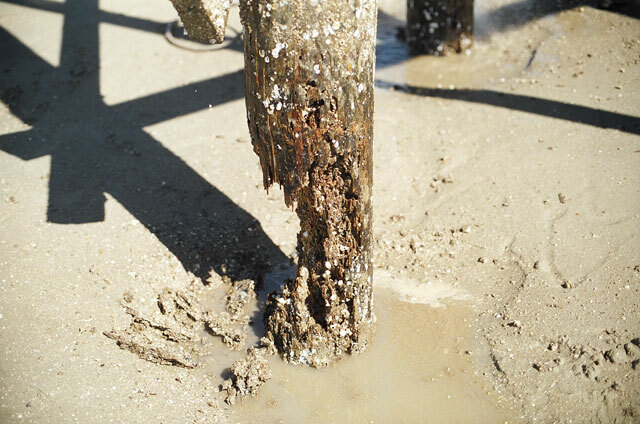 Even though the pier was originally constructed utilizing timber support piles treated for marine use, there was significant deterioration to the support piles. 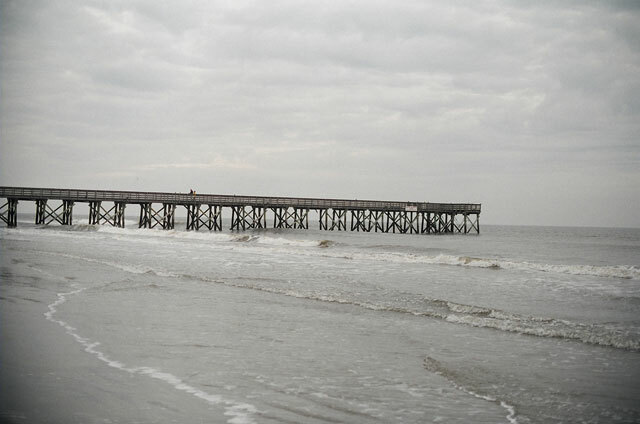 The much greater than expected level of deterioration was primarily due to the constant abrasive action of stirred up, sand-laded water propelled by currents and wave action. 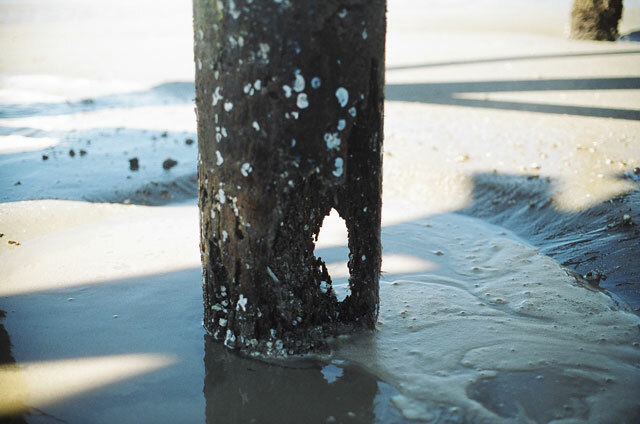 Therefore, this constant abrasion has caused the protective CCA treated layer to be breached, permitting marine borers to attack the interior portions of the timber structure in their tidal portions. 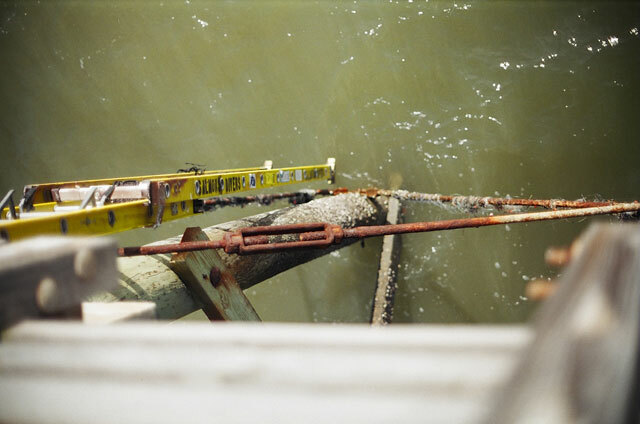 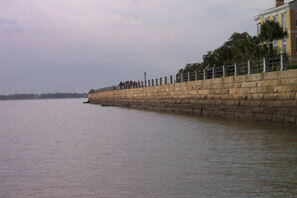 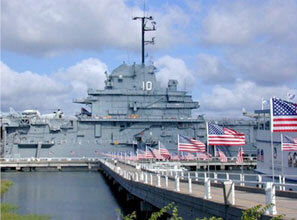 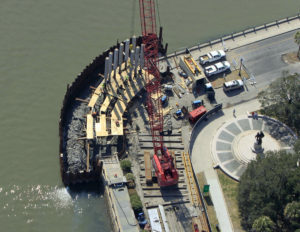 The subsequent corrective repair solution included replacing the deteriorated support pilings and having all the support piles in the seaward third of the pier encased in heavy neoprene jackets.